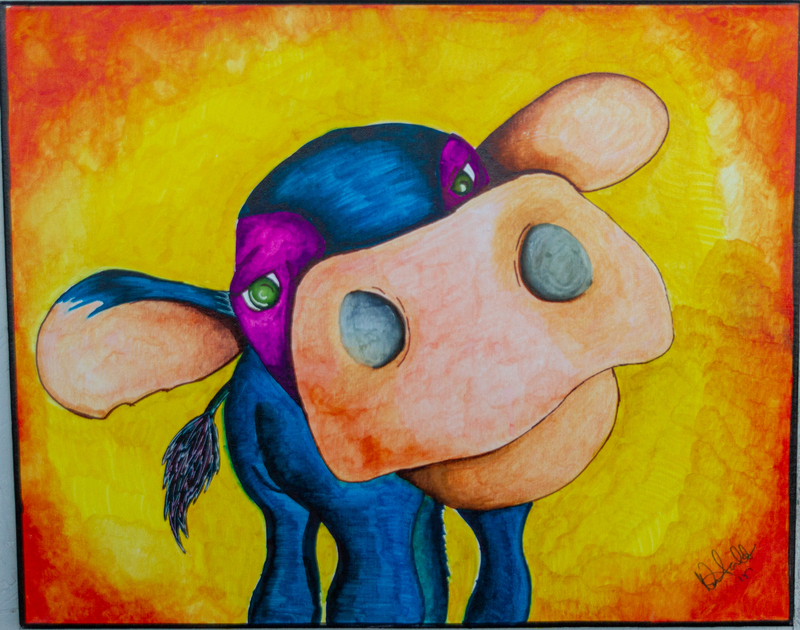 "Pondering Cow" by Norma Trujillo received an honorable mention from judges in this year's "On Our Own Time" exhibit. 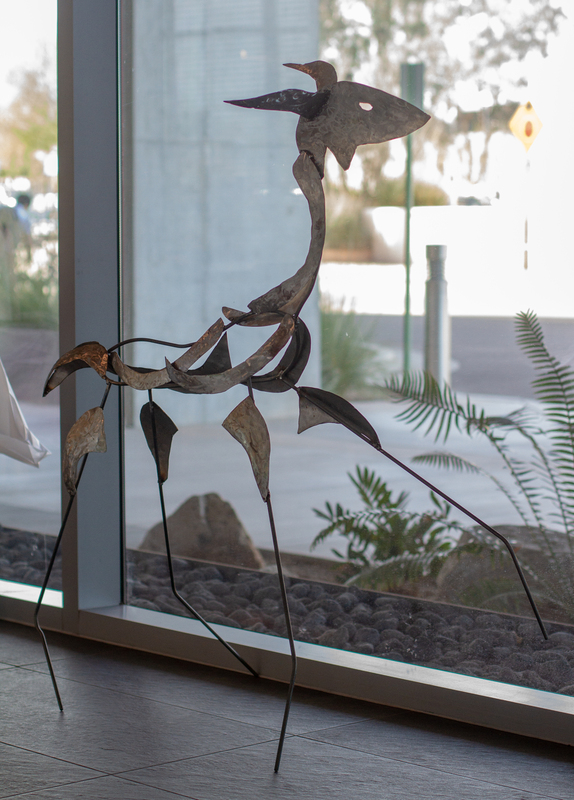 The exhibit is open until Feb. 9 in the lobby of the Bioscience Research Laboratories building, 1230 N. Cherry Ave.
Visit this gallery to see some of the pieces in the exhibit. This year's winning entries, as determined by a panel of judges, are listed below. 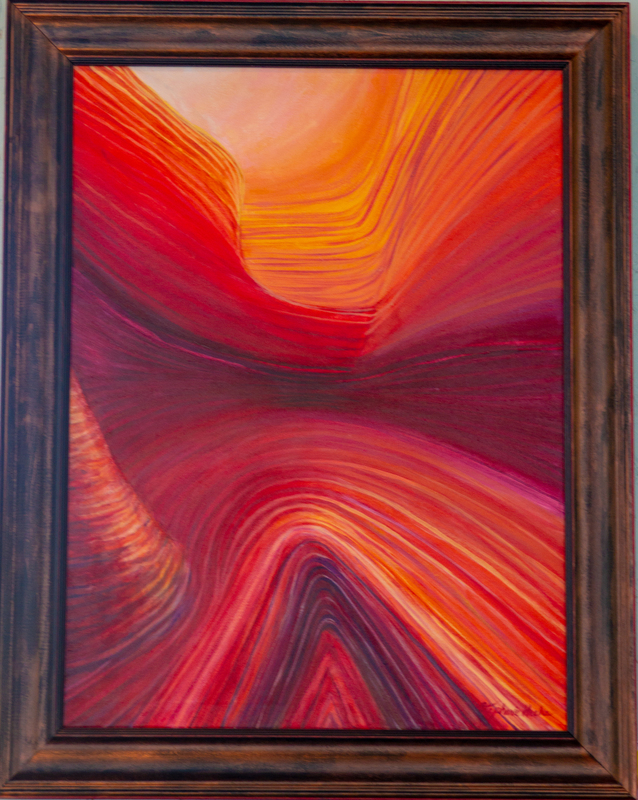 There also are People's Choice Awards, which will be announced at an artists' reception on Feb. 9.